I find myself jumping back and forth between ecstatic and petrified. Between hopeful and scared. I feel almost bipolar in my emotional shifts. The pendulum just keeps swinging from one extreme to another. We’ve had nothing but positive interactions and good news. Yet, I still find myself afraid. At times, I am literally forcing myself to believe that this could really happen. I realize the fears are all based in our history of losses. And it seems, no matter how hard I try, I just cannot put them out of my mind. The obvious reality is that I want nothing more than to welcome Baby MPB in to our lives. Since we found out about Baby MPB, we’ve been putting the final touches on the nursery specifically for this baby. The cute little wooden blocks I bought as one of my last 365 days of happy days are now sitting in the room spelling out Baby MPB (the real name of course). Clothing has been purchased especially for Baby MPB. The room has been decorated and customized just for this baby. So far as I am concerned, the once dreaded nursery has become this MPB’s room. So, if we don’t bring Baby MPB home with us, I honestly don’t know how I will cope. I don’t know how I will ever be able to go back into that room. I don’t know how I will ever be able to re-decorate the room for another maybe baby. That room, just like my heart, belong to this baby. Yet, all I know right now is that I have to keep hoping that Baby MPB does come home with us. And hoping that I never have to worry about having that room sitting empty again and that I never have to redecorate for another child (unless we happen to win the lottery and decide to adopt again). Our history of losses has been hard and it’s left a mark on my soul. But, I owe Baby MPB my hope and my love. And so, when the fears come, I just keep reminding myself to hope. I just have to keep hoping. Those hours after the birth and before the surrender/placement will be some of the hardest of your life. It’s so much easier to make a plan for a hypothetical baby than a baby that’s actually in your arms. I’m praying for you!! Totally normal!!! You are doing a great job being honest with yourself about your feelings. I wish you lots of luck and sending you lots of positive thoughts. Hugs!! Everything points to this being a successful match. I have no worries, and I have in the past for others. But this baby…. He’s for you! I hope and pray to God that you won’t have to find out how you would cope if something happened with the adoption, but I do know this, you would find a way. You are one of the strongest people I have ever met. However, everything seems like it’s going really well right now and you’re doing a good job of leaning into your feelings and making sure you’re acknowledging them and that’s a good thing. 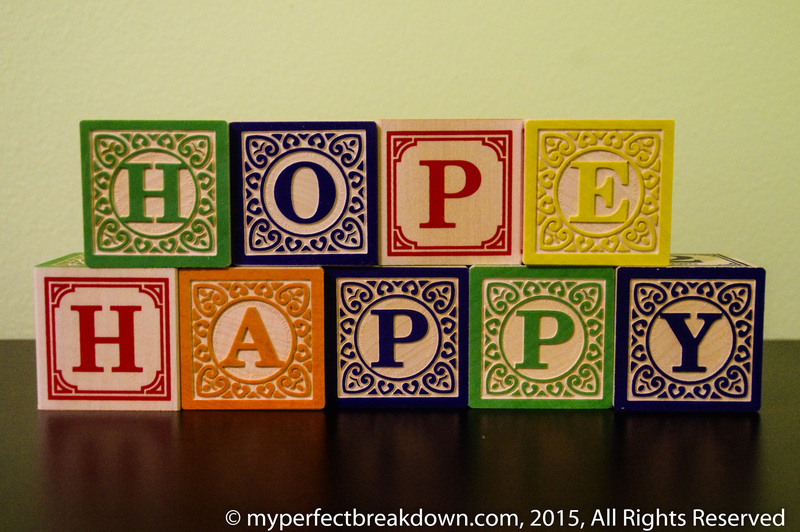 Hope after loss is so hard, I really get it I feel bipolar in my emotions at times during each and every cycle! This has been the easiest physically and the hardest mentally! I pray for you and Mr.MPB that here soon you will be sitting in your nursery getting snuggles!!! HUGS!!! I hope you’ll share some nursery photos at some point! I would love to see how you’ve finished things off! You’re so brave. I haven’t been letting myself think of our nursery as a nursery for *this* baby yet — I still keep thinking it will be for whichever baby we eventually get to take home. It takes a real leap of faith, and I’m so happy for you that you’re there, bipolar emotions or no. How could you not be afraid? But you’ll get through this, and hopefully baby MPB will be in your arms in that beautiful nursery within just a few short weeks! My friend, I completely understand what you mean. If it’s okay with you, I’m have so much hope for you that your nursery is for your “this” baby! Hope is always OK with me. 🙂 In some ways it’s the best thing we have to offer each other, and I am so very hopeful for you too! I can’t even imagine all the thoughts swimming in that head of yours these days. I think what you are seeing yourself feel is all normal emotions! Good luck with this crazy mind circus. It makes total sense you’d be experiencing such a wide range of emotions. Remember everything you feel is valid. You’re dong great! I can 100% relate to this post! I feel the same way about baby girl’s room. It is basically done with her name and everything on the wall. If something happens I seriously feel like we would have to sell the house. Praying that neither one of us have to deal with that. I think all of your feelings are completely normal! Yes, you totally get it! I don’t want to sell the house, I love it here. But, the thought has legitimately crossed my mind! As you say, hopefully both of us never have to deal with that! I do love our house but that’s just what I keep thinking!!! Hopefully we both will have our little ones in our homes in a few weeks!! !